Whether you’re looking for awesome hotel deals at your favorite travel sites, unsold rooms, or a wallet-friendly rate that fits your budget, Hotwire offers more than 173,000 hotels throughout North America, Europe, Latin America and Asia. 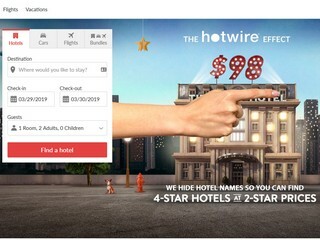 And if you’re looking for cheap hotels, or one that’s located in your desired destination, Hotwire has just what you’re looking for as your go-to source among travel sites. Need help with booking last-minute travel and destinations on your vacation wish list? We’ve built a killer mobile app and supereasy planning tools that allow you to search and find last minute travel deals!